Lydian Associates Limited, a UK-based provider of Business Intelligence (BI) software for the banking sector, went to the possession of Temenos. The acquisition price was not revealed. Founded in 1998 Lydian Associates Limited offers users a range of products under the Webform brand that, by affording multi-dimensional analysis of a bank’s data, permit better-informed management decisions. Adjusted to any specified parameters or Key Performance Indicators (KPIs) Lydians production opens the ability to create desktop reports, graphics and dashboards. 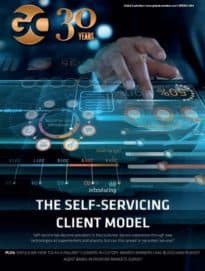 Of the 45 existing clients, who will continue to receive full support after the acquisition, all are either Misys Equation or Bankmaster clients. On top of its core BI products of Lydian Associates were a number of standard software applications that provide Misys clients with systems for the automated production of central bank reporting and a profit-distribution application central to compliance with Islamic Banking regulations. Webform products will be integrated to Temenos T24 Data Warehouse to enhance it with pre-packaged multi-dimensional analysis tools. In its last financial year (to end of May 2008), Lydian made an operating profit of $560,000 on revenue of $1.8 million. The total acquisition price, which is not disclosed, consists of an up-front consideration and further payments contingent on Lydian achieving performance criteria. The provision of high-quality, real-time information for decision-making is clearly an area of strategic importance for banks and has been made even more so by the recent banking crisis, says Andreas Andreades, CEO, Temenos. Consequently, we are taking this opportunity to acquire Lydian Associates in order to enhance our offering in this area. Integration is under way and, given the excellent level of fit between Lydian’s solutions and our own BI modules, we will be able to provide clients with an integrated BI product suite in January 2009. We have enjoyed great success over the years by delivering software with clear and immediate value for banks, but by becoming part of Temenos we will gain access to significantly more development resources and also a much wider client base, says Graham Goble, CEO, Lydian Associates Limited. « Celoxica Ships Market Data Applications On Intel PCI Express Platform.